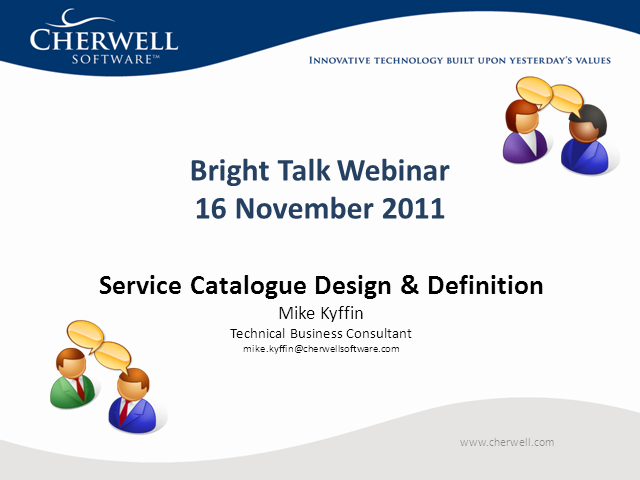 Join presenter Mike Kyffin, Technical Business Consultant at Cherwell Software in this live webinar. As the former Global Service Desk Manager for Dolby Laboratories, Mike was responsible for the planning and delivery of their corporate service catalog. Mike now uses this practical experience to help companies on a day to day basis with their service catalog design and requirements.